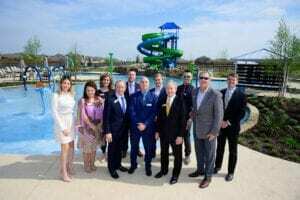 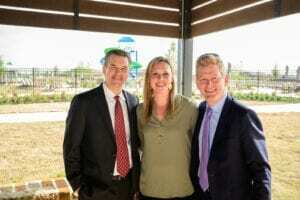 Heartland’s developer Huffines Communities recently held a Ribbon Cutting ceremony for The Oasis, Heartland’s new multi-million dollar amenity complex. 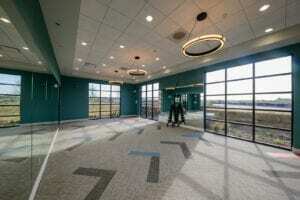 The Oasis features two buildings totaling 11,700sf. 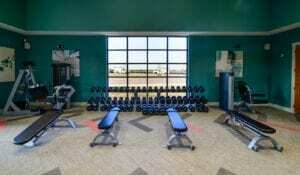 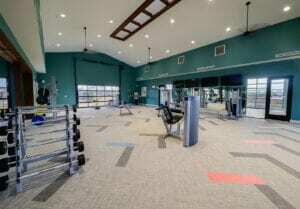 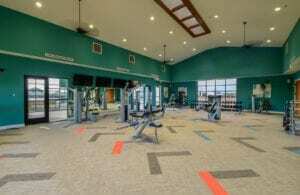 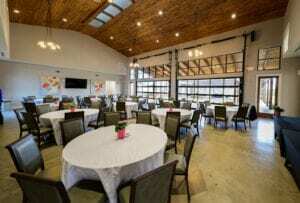 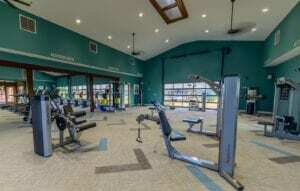 An Event Center over 5000sf including 1200sf covered outdoor space and catering kitchen, and a state-of-the-art Fitness Center over 6,000sf including 2300sf covered outdoor space, weights, cardio machines, aerobics room, 10 TVs and more. 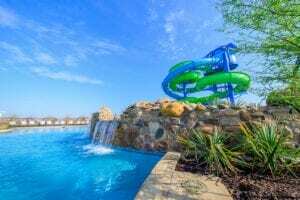 The Oasis’ pool complex is made up of an activity pool with shaded built-in tables, a partially-covered tot pool, and large resort pool with spray park. 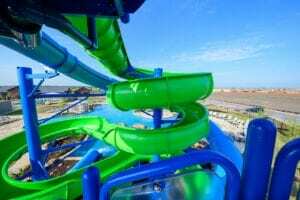 The piste de resistance are the two 30-foot waterslides, one enclosed and one open, landing in a mini pool attached to the main resort pool. 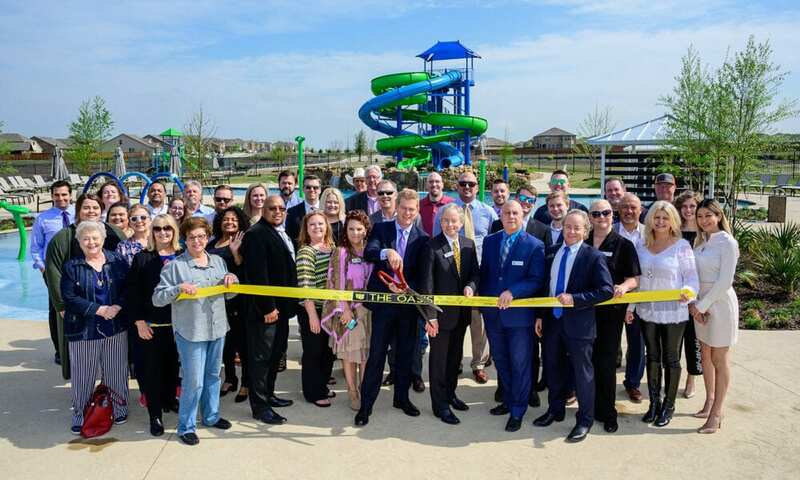 Cabanas, grills, covered outdoor game room, and a children’s playground all enhances the Oasis further, making it the premier summer attraction for Heartland residents. 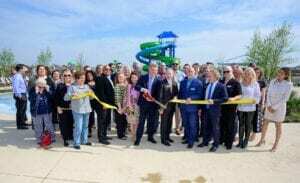 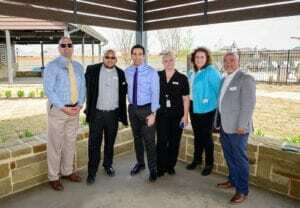 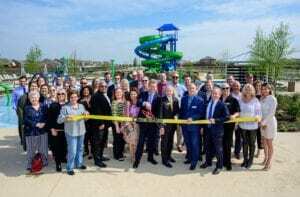 The Ribbon Cutting ceremony debuted the Oasis to city officials, chamber members, and certain individuals involved with the realization of the project, including the investing partner/owner of Heartland, Estein USA and their COO/CIO Lance Fair. 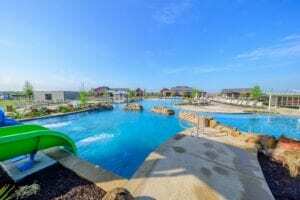 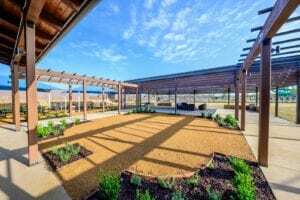 The Oasis is not yet open to Heartland residents, as a few last punch list items need to be completed before the complex is suitable for occupancy. 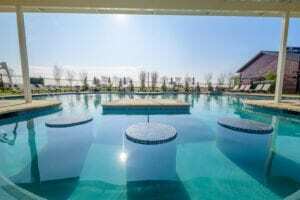 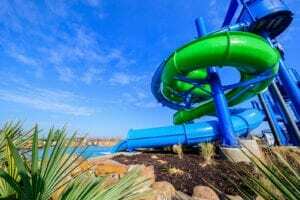 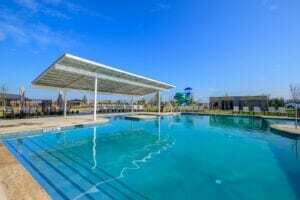 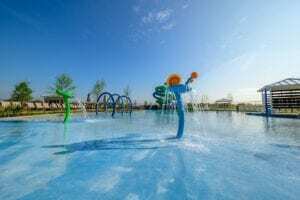 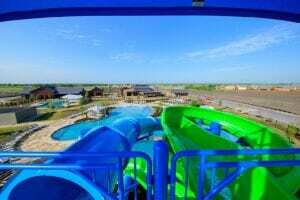 The pools in Heartland – at the Oasis and existing Heartland Park amenity complex – are scheduled to open for the summer on May 25, 2019, Memorial Day weekend. 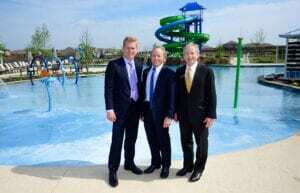 Heartland’s HOA is working to coordinate a resident Grand Opening around that time; more details to come. 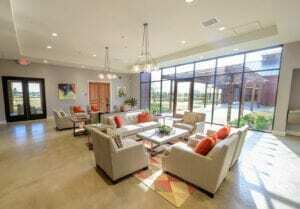 The Oasis, as with all other Heartland amenities, is available to Heartland residents at no additional fee beyond their normal HOA dues. 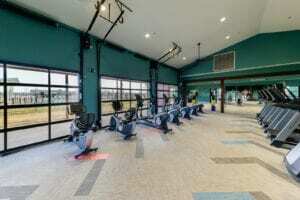 Sign up to receive Heartland community updates.